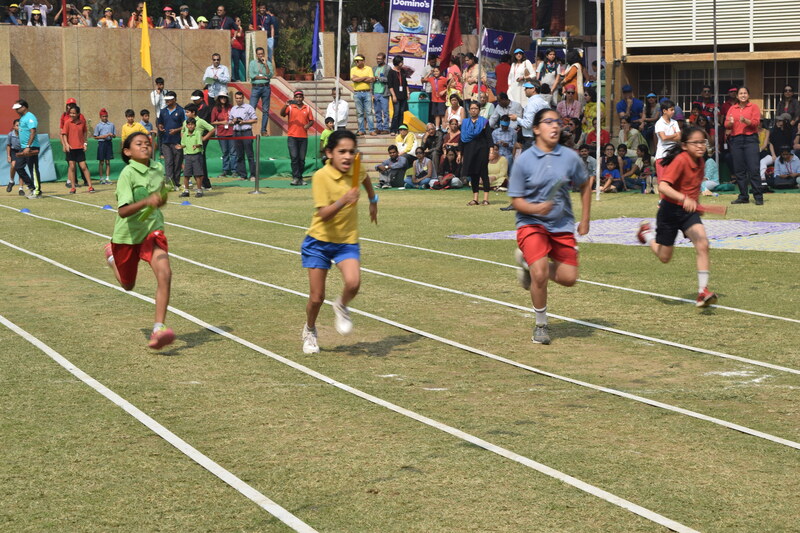 The Sports day dawned bright and sunny, just warm enough for our little athletes. 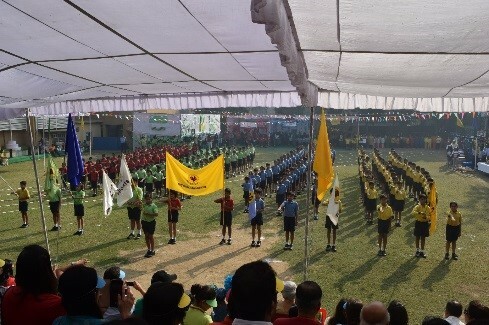 Our children were filled with enthusiasm as they exhibited tremendous team spirit and exhibited a fair play. 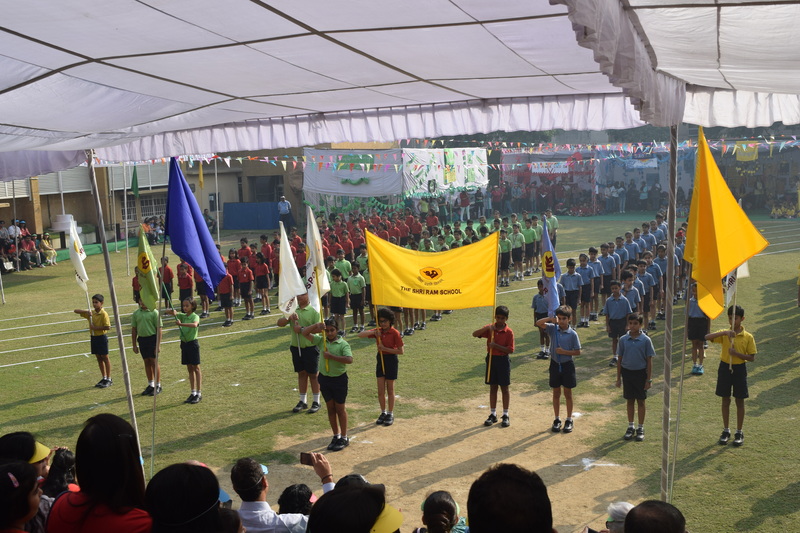 The day began with a March Past by all students of classes 2 to 5 led by the Student Council. Then our young yoga enthusiast of class 3 displayed their proficiency in this field. The races which were filled with much fun and excitement followed.